One of the projects I finished in December, and which you may have spotted on my facebook page over the weekend, was knit on metal needles (my favourite Chiaogoos ), and with a lovely shiny and therefore slippery yarn (King Cole Galaxy DK). To best utilise the stitch pattern, I wanted to move up from 4mm to 6mm needles to get a lovely loose bind off, but with a lot of stitches on the needles I knew it would make for slippery work. 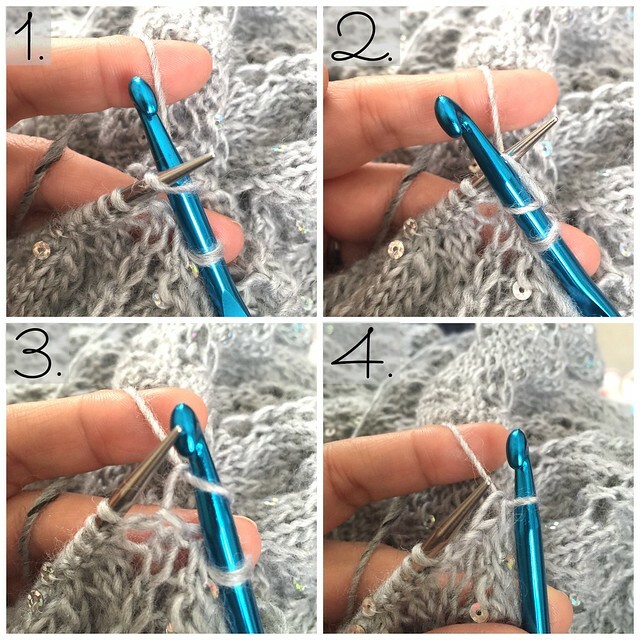 Repeat steps 1 to 4 until all stitches are bound off. On the last stitch, break off the yarn leaving a tail, pull through the stitch to close, and use the tail to sew onto the first stitch and weave in ends. You'll see more of the project very soon as it's a brand new pattern due for release this week - I absolutely LOVE it and hope you will too!